From delicious hot cross buns, to a home-cooked roast or something the Easter Bunny has left us, food has a large part to play in the Easter Bank Holiday weekend! But if you are lucky enough to own a pet or two, there are a few things you should know about this holiday season to make sure you avoid an unscheduled emergency trip to see us here at Charter. 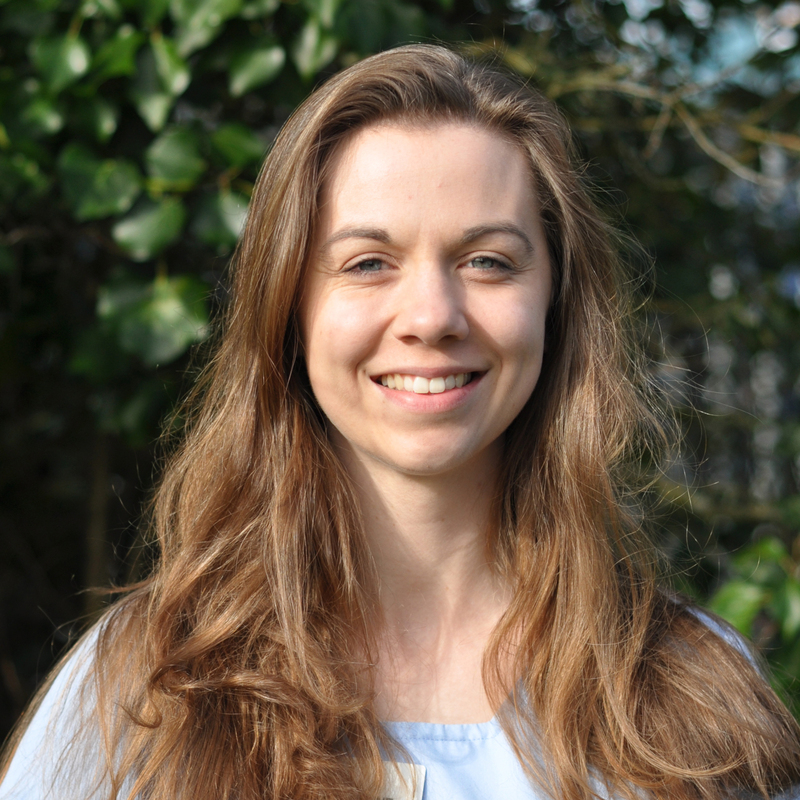 Charter vet Lydia Cheyne BVM BVS (Hons) BVMedSci (Hons) MRCVS offers some invaluable advice on a host of seemingly harmless treats that can prove toxic to your pets. 1) Dogs and chocolate do not mix. Chocolate. There’s plenty of it around over the Easter weekend, and it is unfortunately as irresistible to dogs as it is to us. Unfortunate, because it contains a chemical, ‘theobromine’, which it can be extremely toxic to them – even small amounts can cause convulsions, heart problems, hyper-excitability and fits. 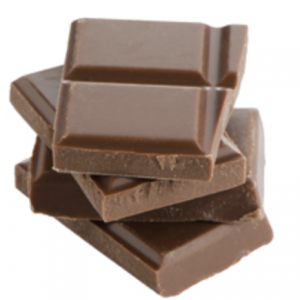 Darker chocolate is more poisonous than milk as it contains higher levels of theobromine and in some dogs only a small amount can be extremely toxic. The safest thing is to keep all traces of chocolate clear of any mischievous paws! 2) The ingredients in hot cross buns can cause severe kidney failure in dogs. 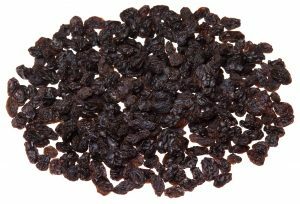 It’s not fully understood what it is in raisins, grapes and sultanas that makes them so toxic to dogs, but it’s safe to say that your four-legged friend needs to stay well away from hot cross buns, Easter biscuits or Simnel cake. The contents of these delicious festive treats, even in small doses, can result in kidney failure if ingested by dogs, which in many cases may prove fatal. Try to keep anything containing grapes, currants or raisins in a tightly sealed container and well out of the reach of any cheeky snouts! 3) Think twice before giving your dog bones from your Easter Sunday roast dinner. You might want to let your dog enjoy Easter lunch too by letting him enjoy a bone from the roast dinner. Be aware that cooked bones are softer, making them more brittle and likely to splinter. This could lead to mouth trauma, intestinal obstructions or perforation if swallowed. 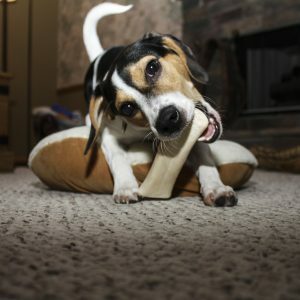 Save yourself the hassle and worry of bone emergencies – buy your dog a safe, long-lasting chew toy instead! 4) They may epitomise spring, but daffodils are not good news for your canine and feline friends. Daffodils and Easter go hand-in-hand, and there’s nothing more reassuring that spring is well and truly on its way than a beautiful sea of yellow flowers. 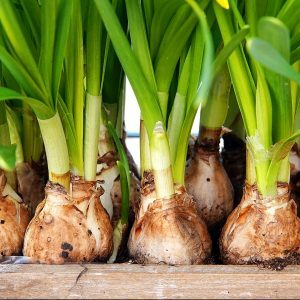 But it comes as a surprise to many that all parts of the daffodil plant are toxic to both cats and dogs. The flower and bulb of a daffodil can cause nausea, vomiting and severe abdominal pain if eaten or chewed. It can even be harmful if your pet drinks the water from a vase that contains daffodils so be extra vigilant. There are a host of plants found commonly in many back gardens that may pose a threat to your pet all year-round. Azaleas, bluebells, rhododendrons and tulips all have toxic properties : visit The Blue Cross for more information and a complete list. Be sure to keep flower vases on high shelves and keep an eye on your dog or cat if they like to dig in the garden and you have bulbs planted. 5) You need to act quickly if you think your pet may have ingested something poisonous. This will be invaluable help to your vet and will help them assess the treatment routes they will take. 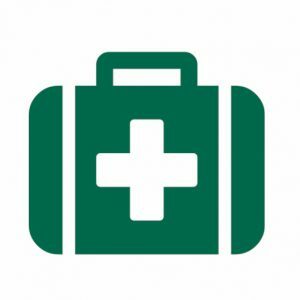 Charter Vets operates a 24-hour emergency service which will be available throughout the Easter period. If you have a pet who you suspect has eaten something toxic, please call us on 02171 371115 or 01271 886770. For information on our opening hours over the Bank Holiday weekend, please take a look at our ‘contact us’ page.